36 Hours After the South China Sea Ruling, How Has China Reacted? How can we score China’s reaction in the aftermath of a deeply humiliating international legal award? On Tuesday, we saw a tribunal at the Permanent Court of Arbitration hand down a historic award on maritime entitlements in the South China Sea, overwhelmingly favoring the Philippines—the plaintiff—over China. Beijing had long refused to participate in the case and we always expected a result in the Philippines’ favor (though perhaps not to the extent we saw in the actual award). My colleague Shannon Tiezzi noted China’s initial reaction to the verdict yesterday: Beijing declared the ruling “null and void,” and said it wouldn’t affect its South China Sea claims. Now, more than a day later, it’s worth taking stock of some of the other things China has done in reaction to the award. How Beijing reacts in the coming days will set the tone not just for the progression of maritime disputes in the South China Sea, but also for potential bilateral negotiations between the government of the Philippines, which has shown new enthusiasm to talking directly to China under President Rodrigo Duterte. Moreover, what China does and does not do will affect Beijing’s broader relationship with Washington. As I discussed on Monday, there is a perception in China that the United States encouraged Manila to go to court, resulting in this moment of national embarrassment for China. 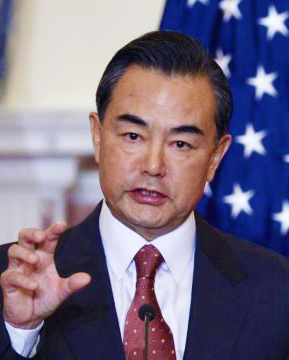 So, in addition to releasing a statement on the behalf of the government of the People’s Republic of China, a statement by the Foreign Ministry, and furthermore having both its foreign minister and ambassador to the United States speak on the issue of the verdict, China took but a single “kinetic” move. On Tuesday, after the award was released, it flew a Cessna CE-680 civilian aircraft between Mischief and Subi reefs. This was not a new action for Beijing in the Spratly Islands and, given the broader tensions, was fairly unprovocative. (Mischief Reef was notably decided to be part of the Philippines’ continental shelf in Tuesday’s award.) It’s notable, also, that the Permanent Court of Arbitration, the organization that acted as registry in the case, saw its website taken down for about 5 hours in the aftermath of the release of the award. The Court hasn’t confirmed publicly, but it could be possible that it faced a cyberattack—if not by the Chinese state, then by nationalists unhappy with the award. The Court’s website suffered a breach last summer. Though attribution will remain unclear, the PCA website outage can cautiously be read as one more Chinese reaction to the verdict. Finally, it’s worth also taking stock of what China didn’t do in the aftermath of the award. As of this writing, less than 48 hours after the award’s release, Beijing has not declared an air defense identification zone in the South China Sea, moved to begin reclamation at Scarborough Shoal, sanctioned the Philippines, or announced an intent to withdraw from the United Nations Convention on the Law of the Sea. Additionally, China’s state censorship apparatus has apparently moved to censor hypernationalist calls for war, demonstrating state interest in putting a lid on nationalist outbursts. Finally, unlike in the aftermath of the 1999 NATO bombing of the Chinese embassy in Belgrade or the 2012 Japanese nationalization of the disputed Senkaku/Diaoyu Islands, China has not allowed managed public protests near the Philippines or U.S. embassies. If I had to subjectively “score” China’s reaction, I’d read this as … fairly good all things considered. Remember that for China, the sense of ownership over the South China Sea is absolute and the award is a huge moment of national humiliation. For the first time in its modern history as a great power wielding global economic clout, Beijing’s actions have been declared transgressive under international law. This could have been much worse. One of the factors that perhaps caused China to react in a more managed and careful way in the aftermath of the ruling is the new government in the Philippines. Duterte’s unexpected willingness to talk is a far cry from his predecessor, who filed the case in the first place. It’s unclear exactly how much space exists for bargaining between China and the Philippines in the wake of this ruling, but Beijing’s reaction suggests its interested in keeping the door open.